Home » Nutrition » Diet Plan » What is The Keto Diet and Can it Work for Weight Loss? If you’re into all things social media, you will have no doubt heard of the ‘keto diet’ when you’re scrolling through the gram. #ketodiet is usually followed by images of famous celebs looking slim and trim, having dropped pounds faster than you can drop into a squat. We’ve seen all the pictures and it’s clear this diet is doing something – that rate of fat loss can’t be ignored. But how does it work and should you be checking out the keto diet for shredding season? Us lifting girls take this seriously. We don’t just jump on board with a new fad diet unless it’s got some serious benefits. So far the details have been a little hazy, so at SMG, we’ve delved into all things keto to find out if it’s the right nutrition plan for you. What happens when you’re on keto? 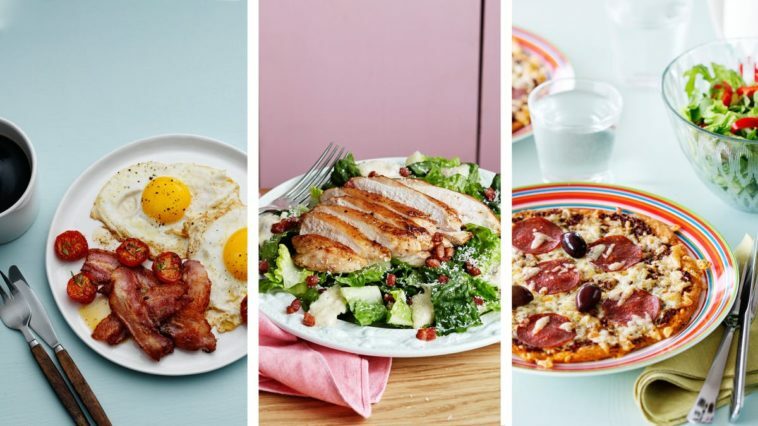 Can you lose weight on the keto diet? Whether it’s a celeb or a random gym bro in the weights room, it feels like the world is talking about the keto diet. Having said that, we haven’t heard a lot about the science behind the diet. Keto stands for the ketogenic diet. It’s based around eating a lot of fat and cutting back carbs almost completely, in order to alter your metabolic state. We know we’re just scraping the surface here, but we have to say – a diet where bacon is recommended doesn’t sound so bad. When your calories are low and you have such a tiny amount of carbohydrates in your diet, your body turns to fat as a source of energy. This is an altered metabolic state called ketosis, and that’s where the rapid weight loss comes from. Your body starts to create ketones from fat, which is used as a source of energy. It takes a little time to adjust, but when you’re in this state you’ll be using fat as energy instead of carbohydrates. 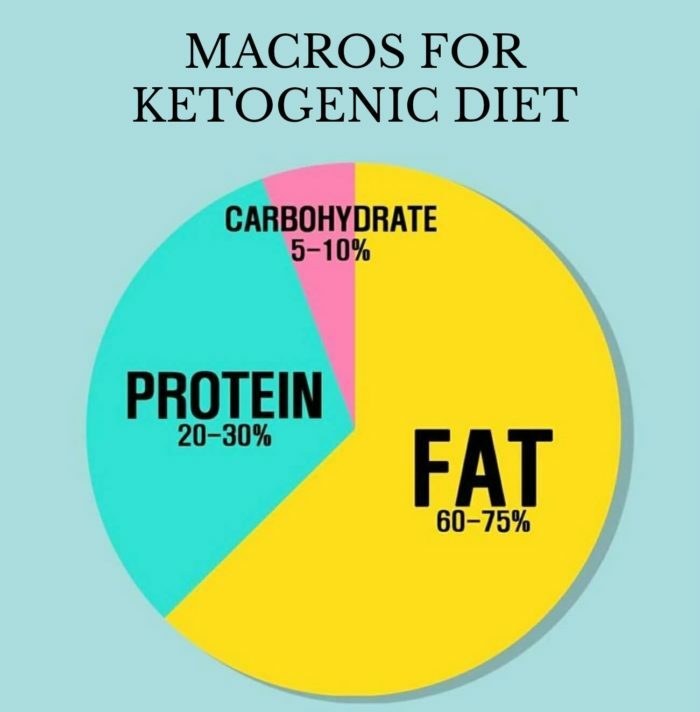 You might be able to play around with the percentages slightly, however, if you up your carbs or protein even just a little it can throw you right out of the ketosis phase. It’s a delicate balance girls. For us lifters, protein is the game changer. We’ve been taught from day one that, in order to build muscle you need a high protein diet. But that won’t do on the keto diet. Protein can also get also create an insulin response, so anything above 0.8g per pound of bodyweight will knock you out of ketosis – probably the reason most lifters find it difficult to maintain. A keto diet is a balancing act. And a very strict one at that. It takes a lot of discipline, planning, and control. So if you know you’re gonna give in to a delicious brownie or need a bowl of pasta before you hit the gym, maybe check out IIFYM, cos keto isn’t for you. During the first few days of the diet, you’ll start to feel washed out and maybe even a little ill. This usually happens as your body begins to adjust and burns the glycogen reserves you have stored in your muscles. After about a week of adjusting, your body will settle into ketosis. You’ll start to see the pounds drop off the scales and you might notice another, slightly gross, side effect. A side product of ketone is acetone, which presents itself as a sickly-sweet smell on your breath. Not cute girls. On top of that, it’s important to remember that your body usually only produces ketones when it’s in a state of starvation. That’s not ideal for muscle growth – we get hangry enough without existing in starvation mode. Also not cute. Ketosis kicks off some pretty strange chemical reactions in your body, some of which don’t always feel healthy. As girls who lift, we’ve got more to think about than just losing weight. Read on to find out what it does to lifters and bodybuilders. Key point: When starting out on keto, prepare for an initial adjustment phase where you might feel unwell and run down. We know what you’re thinking. Diet is the cornerstone of lifting weights. We really need those energy-producing carbs, and how are you going to build muscle with so little protein? Lifters and bodybuilders everywhere depend on these essential macros to max out at the gym and create that beach-ready physique. When we’re lifting weights, it puts your body under intense pressure. In these high-intensity moments, your body usually turns to your glycogen reserves. However, to achieve ketosis your body burns through the energy-providing sugars that sit in your muscles, making it harder to max out in the gym. When we get down to the detail, it becomes clear that the ketogenic diet isn’t a good idea in the long-term. There’s no literature at all to back up the idea that keto will support or promote the growth of muscle mass and just looking at the macronutrients, it doesn’t make a lot of sense. If you’re a regular lifting girl with a gorgeous, athletic physique, you won’t have gotten this far without knowing a thing or two about building muscle. You know training and diet are intrinsically linked and you’re clued up on what you should and shouldn’t be eating to achieve your goals. We’re pretty sure from one glance you can tell that the macro compositions of a keto diet may make you lose weight, but it isn’t the most effective balance for muscle growth. You’re essentially working without the key ingredients. Key point: The keto diet may not provide enough energy for short, sharp, high-volume workouts – like weightlifting. Initially, the ketogenic diet wasn’t used for weight loss at all. It was first suggested as a form of therapy for people who suffer from seizures. Towards the end of the 20th century, it was being used regularly for patients who suffer from epilepsy. Studies have shown that a ketogenic diet can help to reduce the number of seizures they experience by up to 50 percent. Although developed to provide therapeutic benefits, it has been picked up by the fitness crowd due to fat burning results. Key point: Keto was initially used for epilepsy patients to reduce the number of seizures they have. The short answer is yes. Just like any other calorie-controlled diet, you can lose weight on keto. However girls, there is a catch – there aren’t yet any long-term studies out there to say definitively whether it’s healthy or a good plan for weightlifters. Key point: By achieving ketosis at the right number of calories, you will lose fat, but it might not be the best option for a bodybuilder or weightlifter. It will make you lose weight – if the calories are low, this diet will definitely make you lose weight. But then again, so will most other low cal options. It works quickly – the keto diet focusses right in on fat cells for fast weight loss results. It might not support muscle growth – with that amount of protein?! Doesn’t seem likely girls. It’s not a good idea for the long-term – ketosis is quite an extreme metabolic state for your body to be in, and the rapid fat loss isn’t a good idea for the long term. It doesn’t help you reach your full capacity – With the right source of energy, your body won’t do well in high-intensity workouts aka. Lifting for volume. The initial phase – as your body adjusts you can feel very ill and lack energy. This isn’t ideal if you’re on a strict workout plan. We’ve all had it drilled into us, from the moment we first started lifting weights. Protein and carbohydrates are what builds the muscle and gives you the energy to perform at your best. They’re like the nutritional cornerstone of the sport. Without these key ingredients, it just doesn’t feel like a diet that will support the bar bending workouts and hard-earned gains we’ve been working on. The truth is, the keto diet is still in its early days and there aren’t loads of studies about the keto diet for weightlifters. However, this diet is pretty extreme and the low carb intake, the changed metabolic state, and the reduced glycogen levels might not be the best long-term solution. However, it might work for you. If you’re looking for quick results, maybe check out the keto diet, see how it goes for you and let us know at SMG how you got on.